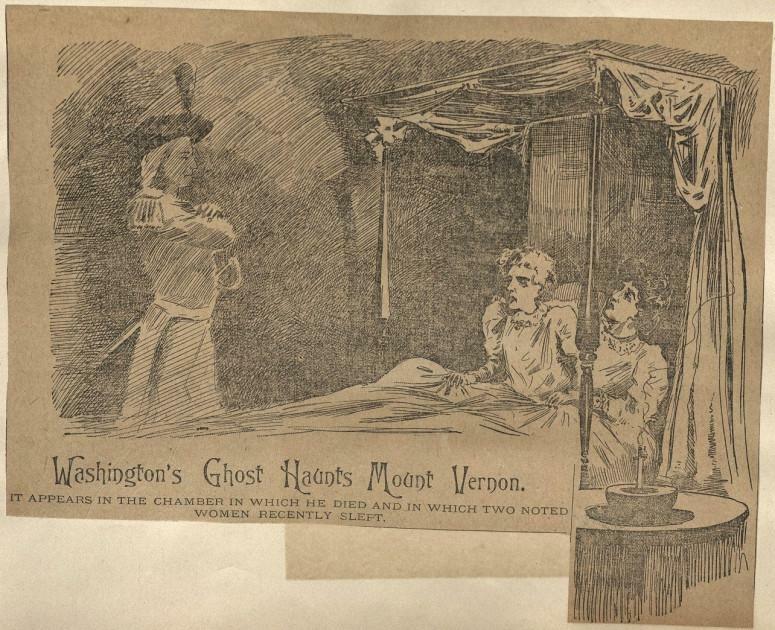 "In the Still Watches of the Night"
Since George Washington's death in 1799, there have been stories of mysterious activities and spectral sightings at Mount Vernon. Some are so old, that they too are historic. In the early years of the Mount Vernon Ladies’ Association, when the Ladies were at Mount Vernon they slept in the Mansion. The following account was reported in the New York World newspaper ca. 1890. "Of course, the most interesting of all the bedrooms is the one belonging to the immortal George and in which he died. In it is the original four-poster bed whereon Washington passed his last moments." "This historic chamber is haunted; of that there would seem to be little doubt. Many people within recent years have slept in it, and they declare that they were awed by the viewless presence of the nation’s first President. They deny earnestly that the notion is based on imagination. Few of these temporary occupants have been able to get any sleep. Obviously, it is one thing to see a ghost, and quite another thing to feel one-to be aware of the nearness of a strange and brooding spectre. They all agree that Washington visits his chamber in the still watches of the night." "Mrs. William Beale and a friend of hers spent a night at Mount Vernon. At their own request, they were permitted to occupy Washington’s bedroom. In the middle of the night they were awakened by the sputtering of their candle. They had lighted one surreptitiously and were burning it in the middle of a basin of water." "Fancied they saw a spook. It went out with a noise, and they began to feel alarmed. Mrs. Beale said to her friend: 'You are on the side of the bed where Washington died!' The other replied: 'No, I’m not; he died on your side!' Finally they decided that the question was doubtful, and there was no more sleep for them that night. They got up dressed themselves, and sat around until morning, scared by every squeak of the windows and at one moment were sure they heard Washington’s sword clank distinctly in a corner." Dr. William Thornton, a friend and prominent physician, proposed a plan to "resuscitate" the recently deceased body of George Washington. What did Josiah Quincy III actually see that strange night while staying at Mount Vernon in 1806? An interpreter was in the Central Passage, on a particularly crowded day in the spring or summer ca. 1980s. She thought she heard someone in the room behind her. Thinking that a visitor had gotten into the area by going under the rope barriers, she entered the Little Parlor to shoo them out. Much to her surprise, she found an older gentleman, sporting a large mustache and dressed in late 19th or early 20th-century clothing, with his sleeves rolled up and secured with garters. When he saw that he had her attention, he shouted, “What the hell is going on here?”—a reference to the noise a school group or groups were making. The interpreter told him that she was trying to quiet them down and then the man disappeared. 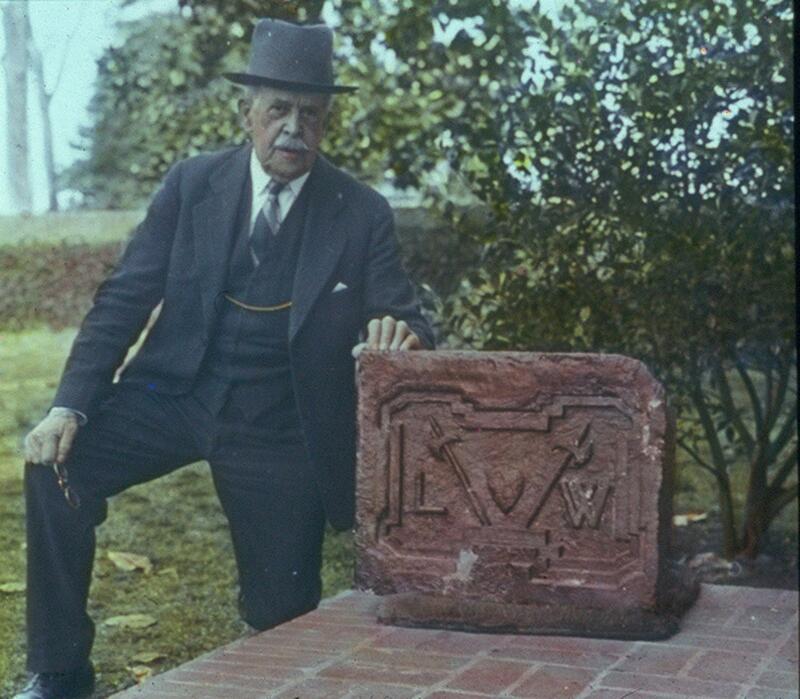 She later saw a portrait of the gentleman in question, Colonel Harrison Howell Dodge, Mount Vernon’s director for about 50 years, until his death in the late 1930s. An interpreter was standing in the Central Passage, ca. 1980s. She felt something brush past her, coming out of the Little Parlor. Looking down, all she could see were the feet and bottoms of the skirts of a young girl in an 18th-century dress, running across the Central Passage. A head guard said that these events were not a one-time incident, but happened with great regularity, ca. 1980s-1990s. Quite frequently an alarm would go off in the Stable. Then, in about the time it would take to unsaddle and put up a horse and walk from the Stable to the Mansion, an alarm would go off in the Washington Bedchamber. Guards dispatched to check out the situation invariably found nothing out of the ordinary. This man's explanation was that the General was coming home, made his horse comfortable, and then went up to his room. During a typical day at work, ca. 1980s, while stationed in the Central Passage, something caught an interpreter's eye. She saw the figure of an unidentified woman, dressed in 18th-century clothing, on the stairs. The figure was carrying a large punch bowl filled with a flower arrangement. The figure disappeared upon reaching the bottom of the staircase. 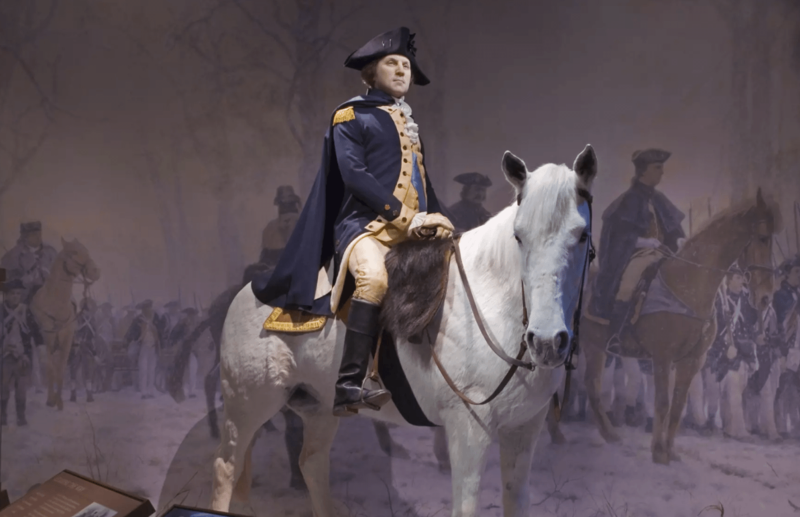 Learn more about George Washington's final hours.